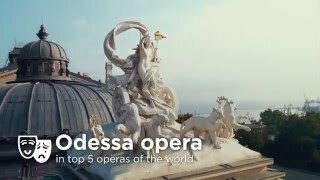 Ukraine occupies 8th place in Europe by the number of tourists visiting, according to the World Tourism Organization rankings because of its numerous tourist attractions: mountain ranges suitable for skiing, hiking and fishing: the Black Sea coastline as a popular summer destination; nature reserves of different ecosystems; churches, castle ruins and other architectural and park landmarks; various outdoor activity points. Kiev, Lviv, Odessa are Ukraine's principal tourist centers each offering many historical landmarks as well as formidable hospitality infrastructure. KYIV is a gateway to Ukraine and is still the easiest city to travel to the country. As the capital and the largest city, it usually grants visitors their first impressions of Ukraine. The simple fact remains that there is an amazing amount to see and to do in this city. Without any exaggeration, it is one of the most majestic and greenest cities of Europe. At only 200 years old, Odessa is one of Europe’s younger cities with the neo-classical buildings that date back to the Russia’s gilded age. In 1803 Tsar Alexander I committed the governorship of the city to Duke de Richelieu. This city is famous by night and beach clubs. Ukraine is the most elegant city, beautiful and eclectic monument to art and history. Amongst L’viv’s open squares and historical extremely narrow streets, visitors will recognize bits of Paris, Florence, Krakow, and Vienna. Office was opened in Ukraine on 2008 and based in Kyiv. Now we have five professional managers in Liberty Kyiv. We have great team of professionals who speaks Russian, Ukrainian, English languages and has more than 10 year experience on travel business. Our office also covered all cities in Ukraine, we have contracts with more than 1000 hotels in whole Ukraine, own air tickets department, train & bus ticket department. Liberty Ukraine doing all kind of services for Leisure groups FIT, VIP groups, MICE, Sport Events and business travel. Our team has great experience with all types of clients. We provide services for more than 10 European football teams; organize whole services for more than 1200 persons from Spain and Italy during final game of EURO 2012; provide services for more than 1000 persons in different cities during whole EURO 2015 in Ukraine. Our office was one of the partner of WAN-IFRA world Congress and we organize accommodation, transportation, cocktail and gala dinner for 1500 participants, pre and post tours to Odessa and Lviv. Our team always ready to provide our best services for clients who choose Ukraine!